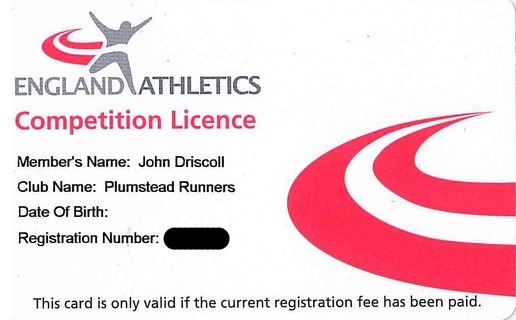 This is separate to the membership fee and applies to all members who compete in league competition, championships and team events representing City of Portsmouth Athletic Club other than Higher Claim & Second Claim whose First Claim Club is responsible and Associate members who are non-competing. Payment is due by 1st April 2018.The club will process the registration on your behalf on receipt the licence fee of £15. The registration is individual and a payment needs to be made for each member. Payment by BACS to City of Portsmouth Athletic Club, Account No. 01506314 Sort Code 30-96-11. Use the member’s name as the reference.